I think it has come to a point where my little lass is more up-to-date with new releases than I am. I remember when I told her that we would be going to an event and she immediately recognized Shopkins! 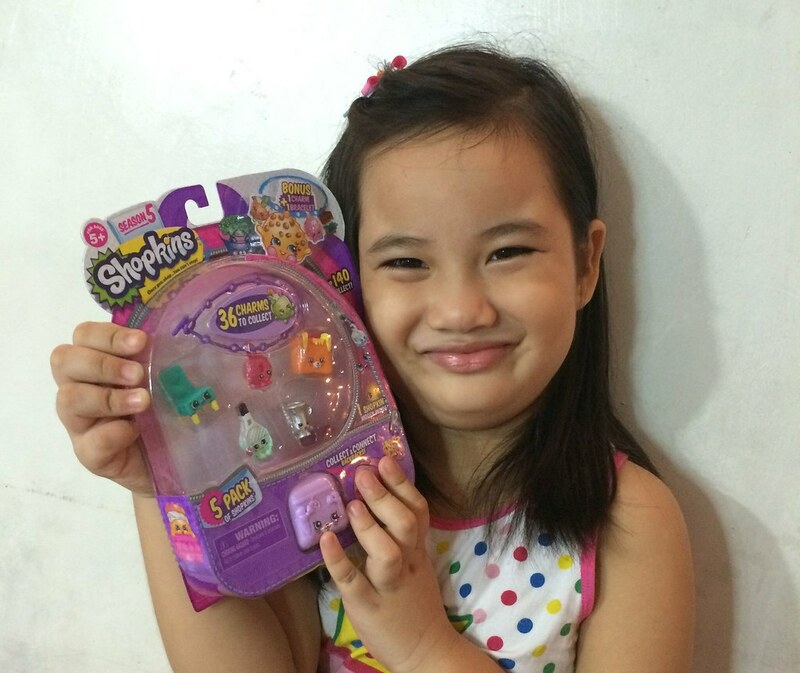 Now imagine her excitement when we were asked to review the new season of Shopkins. Yup, she totally shrieked and I am sure your little lasses will too when they see what Shopkins Season 5 has in store for them. 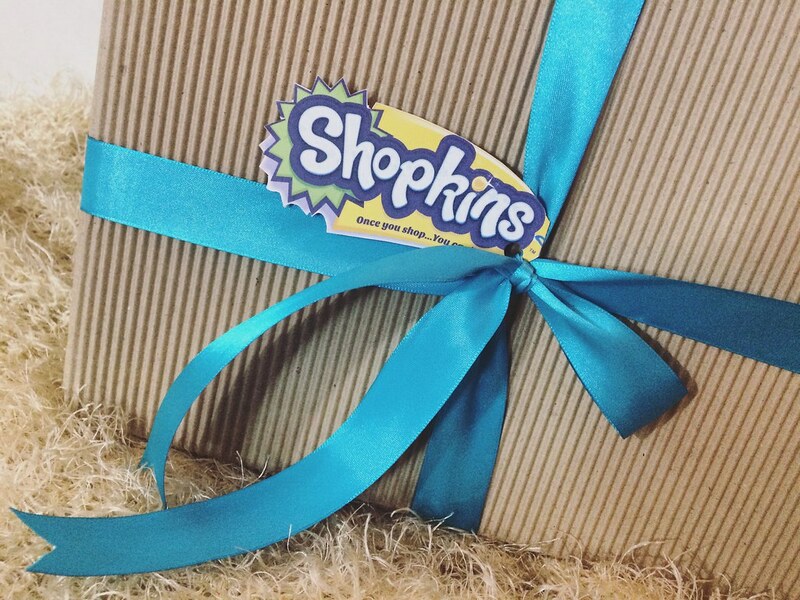 I am sure you asking what are Shopkins? These are cute miniature collectibles of grocery items into characters - From shoes to broccoli, there are so many to collect! What's different with Season 5 Shopkins is that there are 36 charms to collect for your little lass to make a charm bracelet! 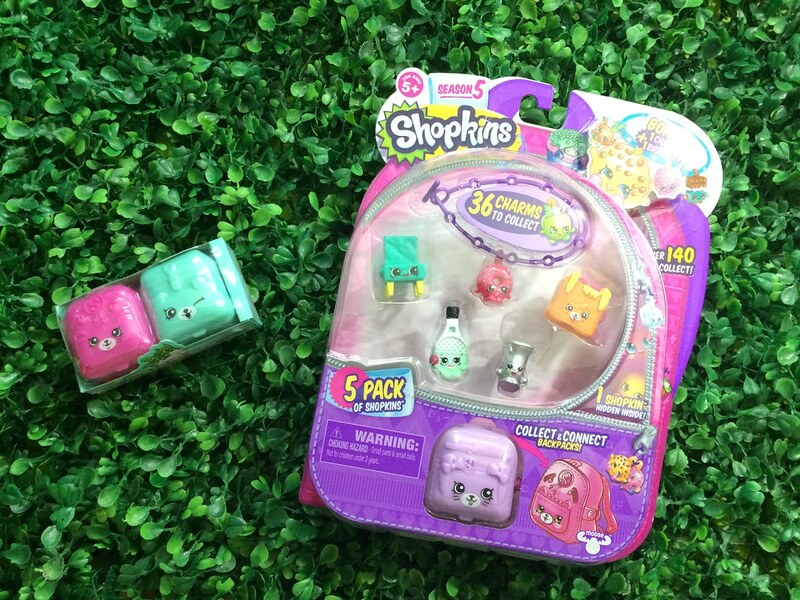 Season 5 Shopkins also comes with the Petkins Collect and Connect Backpacks instead of the usual shopping baskets or bags and this is for both the blind packs and 5 packs. Blind packs come with TWO Petkins Backpacks! I think I was the one who was more excited than my little lass, haha. 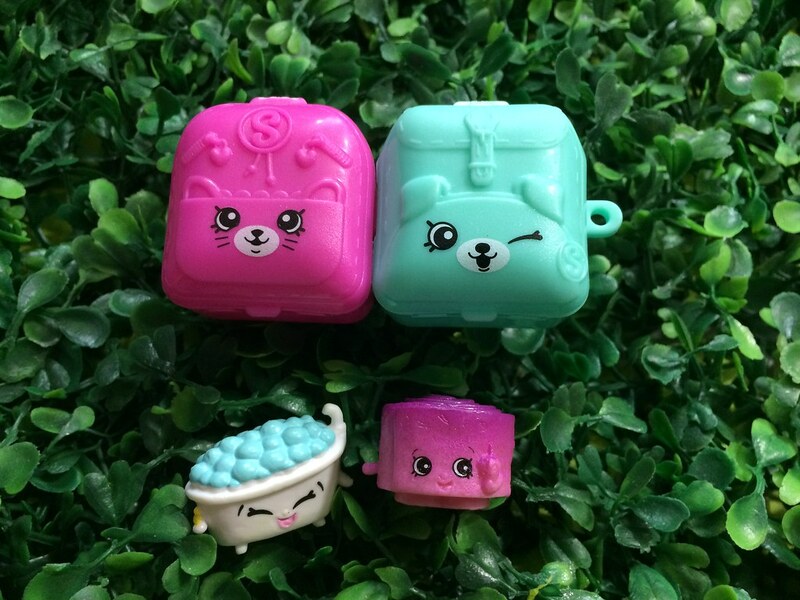 Blind Packs come along with 2 Shopkins. 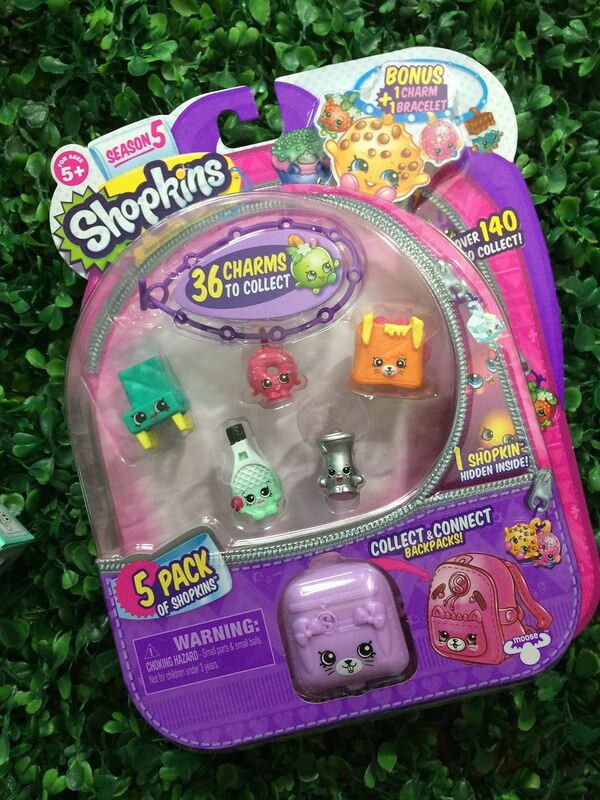 The 5 Pack Season 5 Shopkins comes with 1 Petkins Backpack and 5 Shopkins plus 1 hidden Shopkins which makes it 6 all together! Hope you liked our unboxing video! 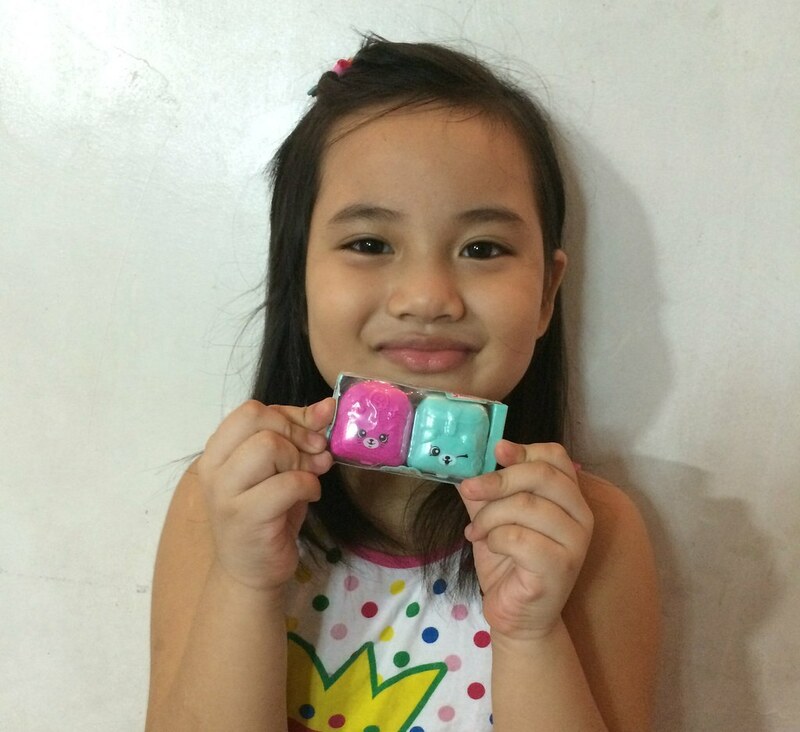 Season 5 Shopkins Blind and 5-packs are available from Toy Kingdom Outlets and are exclusively distributed by Richprime Global Incorporated. 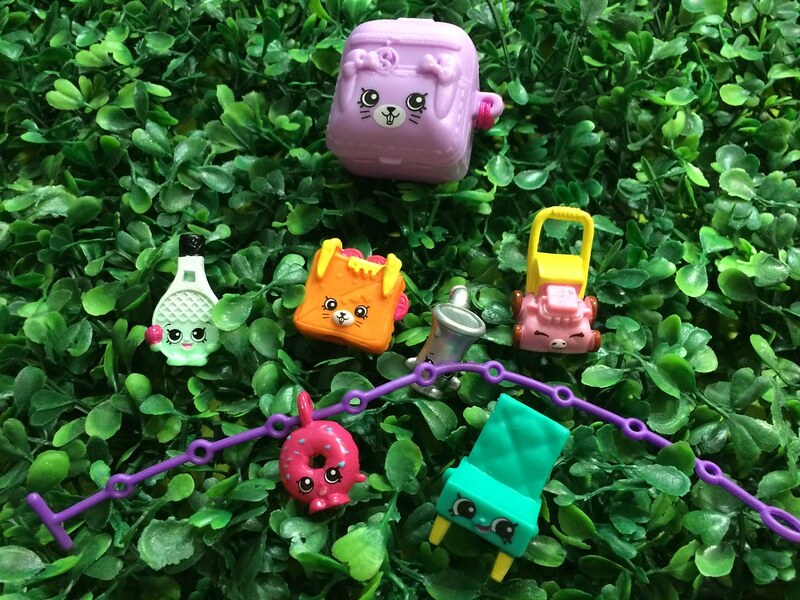 What's your favorite Shopkins character? Cute naman po! Magugustuhan po yan ng anak ko, can I buy that online?